Whether for impressing a business client, celebrating a special event, or just time-saving transportation our affordable limo rental services don't skimp on quality, luxury, or amenities. There's no compromise in our SF limo deals: you'll have a stylish perfectly maintained limousine and an experienced, well-trained, and professionally polite driver. Whatever you're looking for in San Francisco Limo Service we have it all, from corporate limo service to party limos. 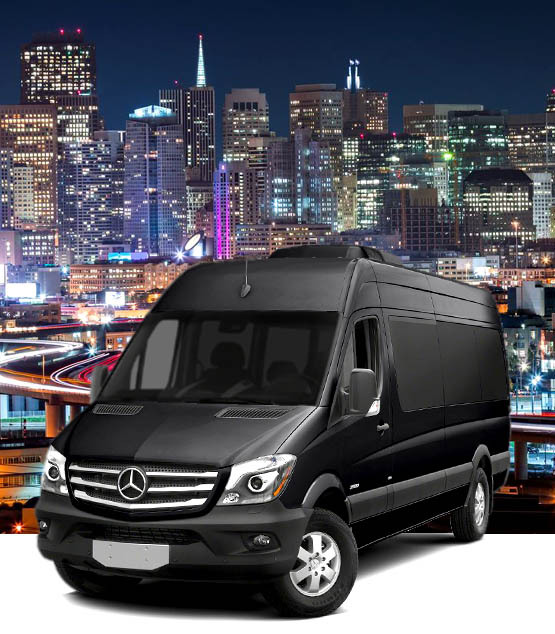 Let a San Francisco limo provide you with reliable, comfortable, and down right luxurious transportation around The City and to and from regional attractions. Our SF limo deals make it all affordable. With a track record spanning many years, we're the trusted choice of countless individual and corporate clients. Choose from our fleet of elegant limousines, town cars, and SUVs and then relax with confidence, knowing that our bay area limo will take care of everything. You'll always be on time for your grand entrance or meeting that important prospective client. Black Car SF limo deals are perfect for avoiding airport traffic snarls and parking delays, with on-time drop offs and pick-ups. Executives choose us for our dependable transportation around town, keeping them on schedule and focused on business throughout the day. We're also happy to charter bay area limo shuttles for hotels, tours, theaters, conferences and other special events. Let a San Francisco limo add style and elegance to whatever you're planning. You can count on us for flawless vehicles and experienced courteous chauffeurs.